We first contacted Calum and his team in 2001. A mortgage is a complicated banking & legal document that, if not handled properly, can put you in a situation where the cost of your property purchase increases significantly. Calum worked diligently on our behalf to negotiate the best terms and interest rates possible. None of the banks we contacted could match his offer and service provided. During the entire process, Calum and his team team treated our family with tremendous care, professionalism, and confidentiality. We are very satisfied customers. We’ve recommended Calum Ross to friends and professional colleagues, and all of them have greatly appreciated our referral. You cannot put a price on the value of good advice. Thank you Calum. 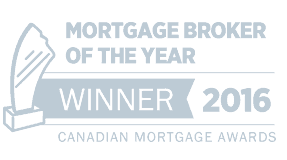 Calum Ross is one of the most professional, intelligent, and financially savvy mortgage professionals I have met in my over twenty years serving as a real estate investment expert. Our clients have transacted well over Billion of property, and we have learned the importance of having an above average mortgage broker on our team. The depth of Calum’s knowledge of real estate investing and personal finance is truly impressive. 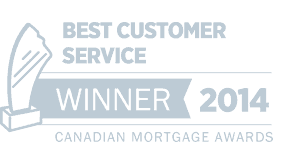 If you are a mortgage consumer who is serious about your long term personal financial goals or an aspiring successful real estate investor you need to get Calum Ross on your team. Calum has deep expertise of mortgages and financial solutions. He uses his knowledge to ensure his clients get the best service and solutions to meet their short and long-term objectives. In my case, the situation was complicated. What impressed me most was the creativity that Calum and his team brought to the solution. I cannot recommend the Calum Ross Mortgage team highly enough. Calum is very bright and high energy, he loves accountability and delivering on his promises. He is committed to being a valuable resource for his real estate partners and his mortgage clientele. 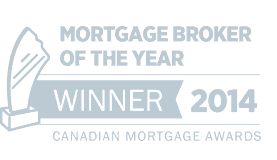 Calum Ross Mortgage has provided us with superior care and service for more than a decade. There is a personal touch and attention to detail that one doesn’t often find, and the range of products — and knowledge about them — is remarkable. Whether you are a first time buyer, re-mortgaging, or looking to transition, Calum Ross is the place to start. Working in the one of the busiest real estate law offices in the country I close thousands of transactions every year and have met hundreds of mortgage professional. Simply put – Calum Ross is unquestionably one of the most knowledgeable and professional mortgage people I have ever worked with. When there is a problem he works to solve it fast and he always puts client’s best interests first. Calum is by far the most professional and knowledgeable mortgage broker I have ever come across. I use him myself and recommend him to all my clients! Calum Ross is an absolute expert when it comes to mortgage solutions that compliment a client’s financial plan. I have used Calum for my own transactions and I confidently recommend my most valued clients to him. Many of my clients have raved about his professionalism and expertise.